An ionic-powered silicone wrist watch. 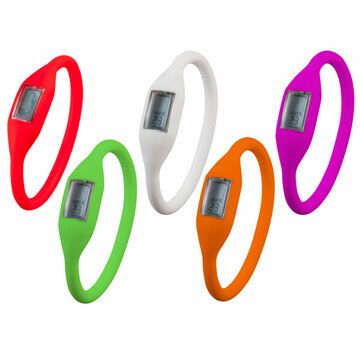 The stretch material means it's designed to fit most wrist sizes. The digital display shows the month, day and time. Available in 24 standard colours, or pantone matched to suit your brand.